Our clients continue to reaffirm us as the best commerce framework for building complex or highly customized solutions. 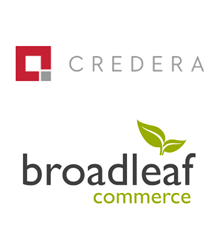 Broadleaf Commerce, the eCommerce platform solution provider for enterprise commerce brands, has announced they will showcase at the 2016 eTail West conference alongside consulting firm partner, Credera. The eTail West conference is an annual trade show for industry professionals eager to discover the latest in eCommerce technology and services. This year, the event coined for “eCommerce and multi-channel retail innovators” is expected to draw more than 1,300 retailers to Palm Springs, California from Monday, February 22 through Wednesday, February 24. Broadleaf client, Pep Boys, will be a keynote for this year’s opening day. Broadleaf, praised alongside Credera for its intuitive omni-channel framework in a recent NRF STORES Magazine article, will offer one-on-one private demonstrations with technical architects for a deeper discussion of the eCommerce framework and its core functionalities. Broadleaf solutions provide eCommerce marketing and merchandising teams with simple tools to manage online retail presence, product catalogs, promotions, pricing, order lifecycle tracking, and more. With the industry’s most powerful rules-based engine, the system enables teams to easily target offers and promotions to the right customer at the right time. Broadleaf has also added a number of new features to support Customer Service agents who need to assist customers with shopping and orders. These enhancements include intuitive customer and order search features. Broadleaf solutions are trusted by companies, from the mid-market to the Fortune 500, to improve business processes and increase conversion rates. For attendees looking to build their next generation eCommerce platform, experts from Broadleaf and Credera will be available to answer questions and provide live demos at booth #910. For more information about Broadleaf Commerce or to inquire about free passes to eTail West, please contact info(at)broadleafcommerce(dot)com.